Reduce fuel, vehicle maintenance and insurance costs. Driver scoring and risk management. Full GPS tracking via PC/Laptop/Smartphone and App. Compatible with: Driver/Operator ID, IncidentCam and Remote immobilization. 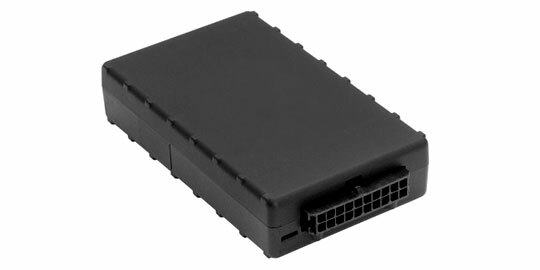 This telematics box with extra sensitive GPS technology provides accurate location and speed information while GPRS/GSM communication transmits data over all major networks for live, scheduled and historic telematics reporting and altering. The integrated 3-axis accelerometer facilitates both accurate driver behavior measurement and crash detection. All the information tracked can be accessed on a robust suite accessible via your PC, Laptop or Smartphone which enables you to track productivity with journey report and mileage capture. Each driver is given a risk score based on an algorithm and an ID tag can be used to ensure that the system knows which driver is using the vehicle, should multiple drivers operate the same vehicle. This risk score generates a report on negative and positive behaviors, allowing you to address concerns and reward good performance. Over the air serviceability provides access to firmware, rules and reporting frequencies, and configuration updates can all be deployed and received remotely.